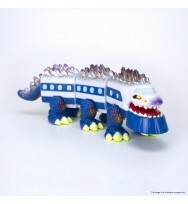 Randalulu is a character designed by Candie Bolton and 3D sculpted by Piece Of Art Toys. It is the..
"Trains have been destroyed for many years whenever monsters invaded the world. Their soul gathere..